Victoria’s Magnolia Hotel & Spa is thrilled to be announced as the #6 Top Hotel in Canada (with a score of 97.06), and leading hotel on Vancouver Island, in the Condé Nast Traveler 2018 Readers’ Choice Awards, announced earlier today. The city of Victoria received recognition as #14 Best Small City and Vancouver Island ranked #4 Best Island North America. The Magnolia Hotel & Spa team would like to congratulate Tourism Vancouver Island and Destination Greater Victoria, as well as the Oak Bay Beach Resort (#12 / 95.76) and The Fairmont Empress (#19 / 93.66). The Condé Nast Traveler Readers’ Choice Awards are the longest-running and most prestigious recognition of excellence in the travel industry and are commonly known as “the best of the best of travel.” Nearly half a million Condé Nast Traveler readers submitted a recording-breaking number of responses rating their recent travel experiences of the world’s cities, islands, hotels, resorts, cruise lines, airlines and airports, to provide a full snapshot of where and how we travel today. 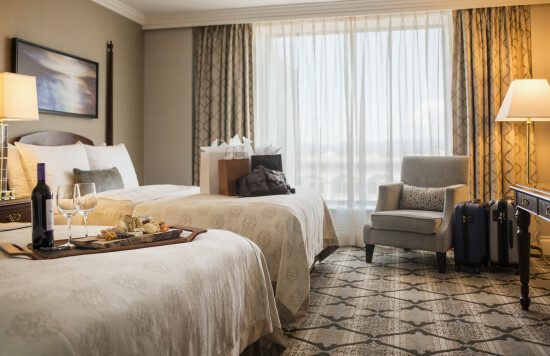 To discover what makes the hotel one of the best in Canada, book your next stay in Victoria by visiting www.magnoliahotel.com or calling 1.888.MAGNOLIA.